Courtney has experience representing and advising employers in litigation and various legal matters arising in the workplace. Courtney is skilled in drafting settlement agreements, employee separation agreements, Equal Employment Opportunity Commission position statements, and employee handbook provisions. She has conducted extensive legal research and drafted memoranda on substantive and procedural issues pertaining to claims arising under Title VII, the Fair Labor Standards Act, the Americans with Disabilities Act, the Equal Pay Act, and the Family Medical Leave Act. Courtney has additional experience advising employers in matters pertaining to collective bargaining agreements and union campaigns and elections. Additionally, Courtney has worked in-house in both the legal department and labor relations department for a major U.S. airline. During her time in-house, Courtney worked on various employment law issues, assisted in labor relations matters, and developed insight into how to better serve clients as outside counsel. While in law school, Courtney worked in the judiciary, serving as a judicial intern to the Honorable Judge David E. Nahmias in the Supreme Court of the Georgia and the Honorable Judge Wendy L. Hagenau in the United States Bankruptcy Court for the Northern District of Georgia. In these roles, she conducted various legal research and wrote draft opinions and orders. 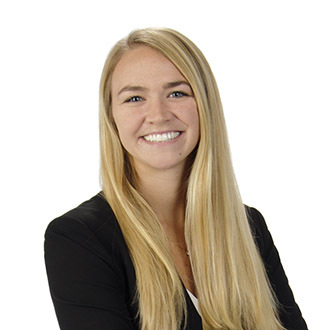 Also while in law school, Courtney served as a Managing Editor for the Emory Bankruptcy Developments Journal, volunteered with Emory’s Volunteer Clinic for Veterans, and served as an active member of the Legal Associate of Women Students. Represented clients before federal and state administrative agencies such as the EEOC, including responding to discrimination complaints and drafting position statements. Drafted employee handbooks for newly formed and/or rapidly growing businesses. Obtained early dismissal of numerous claims against a healthcare company, including claims under Title VII, the Equal Pay Act, and the Americans with Disabilities Act (ADA). December 07, 2018 - Non-Compete News: Is a Non-Solicitation of Employees Provision Enforceable in California?